Ald. 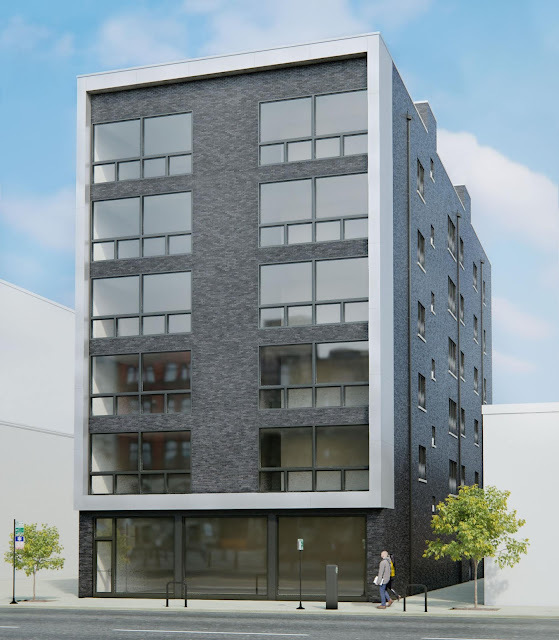 Cappleman's office has released the rendering of Quest Realty's proposed 6 story development at 4720 N. Sheridan. Building permits for a 5 story building with ground floor retail have already been granted, which the developer is allowed to build by right. Quest is asking for a zoning change to add on one story to the development, which would create a total of 30 units with ground floor retail, up from 20 units that would be allowed under the current zoning. 12 parking spaces with alley access are planned and there will be one ARO (Affordable Requirements Ordinance) unit on site. Quest is currently completing a development at 4420 N. Sheridan, which filled a lot that had been mostly vacant over 40 years. 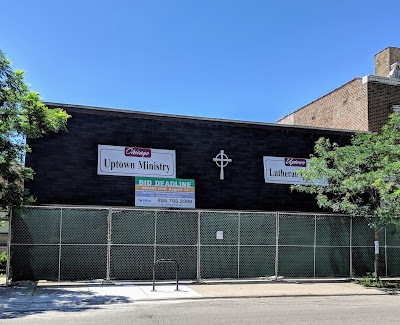 Truman Square Neighbors (Wilson to Lawrence, Broadway to Sheridan) will be meeting at Alderman Cappleman's office, 4544 N. Broadway, on July 23 at 7PM to discuss the zoning change that would allow Quest to add the extra story. Quest Realty's Jason Vondrachek will be on hand to answer questions and present the plans. Truman Square Neighbors will then vote via paper ballot and online on the proposal. Follow TSN here on Facebook.